The European Convention for the Protection of Human Rights and Fundamental Freedoms was opened for signature on 4 November 1950 in Rome and entered into force in Italy in 1955. 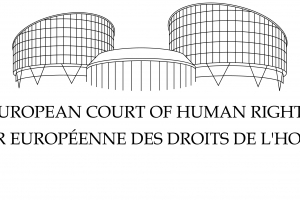 The Convention established the European Court of Human Rights based in Strasbourg, not to be confused with the European Court of Justice, the highest court of EU based in Luxembourg. Appeal before the the European Court of Human Rights or contact International Lawyers in Italy. - in action lawfully taken for the purpose of quelling a riot or insurrection. - any work or service which forms part of normal civic obligations. - the lawful arrest or detention of a person to prevent his effecting an unauthorised entry into the country or of a person against whom action is being taken with a view to deportation or extradition. - to have the free assistance of an interpreter if he cannot understand or speak the language used in court. * On this page there are only the first 18 articles of the Convention, which represent the list of rights and freedoms protected by the Convention. The European Convention on the participation of foreigners in public life at local level. Its application in Italy. Italian lawyers for Japanese companies and citizens in Italy.